A Cayenne "Pepper" that is. 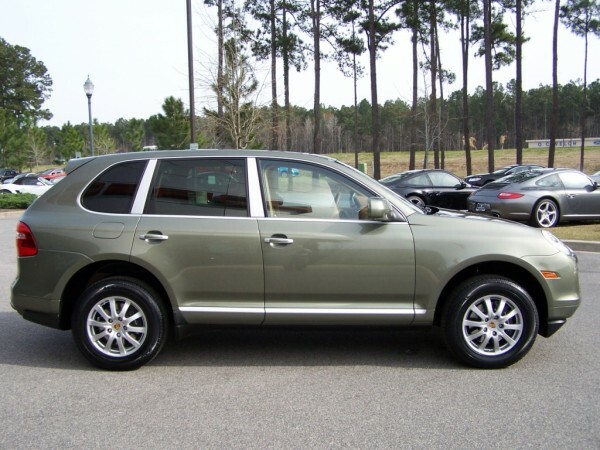 For months now John has been threatening to replace our "dog hauler" (my well used 2004 Toyota 4Runner Sport) with a new Porsche Cayenne. Well, last week he made good on his threat. It seems like a week in a Porsche Cayenne Turbo (a press car supplied by PCNA that we'll be writing about shortly) was just too much for him to handle. On what seemed like the same day that Porsche picked up their press car, Porsche of Hilton Head was delivering our new 2009 Porsche Cayenne (that's it below). I know a lot of you might wonder why we chose to get the older generation Cayenne when the new one was just introduced and delivery is right around the corner. The answer is quite simple. You see, we use our truck to haul our two large and hairy dogs all around the country. We didn't feel it made sense to buy a brand new truck (that's only going to "dogged out") when a slightly used one could be had at a very substantial discount. Our "new to us" 2009 Porsche Cayenne was a pretty good deal in my mind and will serve a dual role. Not only do we have a new "dog hauler" but we have FlatSixes.com's first true long-term review and project vehicle. My plan is to write a monthly update on all our expense and experiences with the Cayenne over the long-term. This way we can detail modification(s), costs, expenses, warranty issues, etc. My hope is that those of you considering a Cayenne purchase (or those of you that already have one) will be able to use use my experience(s) to help make your decision or compare with your results. As this is truly MY first Porsche (John says the 911 and 993 are really his) I'll be making the decisions on what to do for mods, upgrades, etc. In fact, it was my decision to get the base Cayenne vs. the Cayenne S or Turbo. I know a lot of you would opt for the 8 cylinder or 500 horses of the Turbo, but I simply couldn't justify it. We already have other Porsche sports cars and I was looking at the Cayenne as a true utility vehicle (albeit one that looks just at home at the valet stand of a nice hotel as it does in the back woods of Maine) vs. a "go fast" toy that drinks gas at an alarming rate of up to a gallon every 13 miles (at least that was our experience in the Turbo). Quite an impressive list. All in all, our Base Cayenne Tiptronic (suggested price of $47,600) originally stickered out at $64,435 (including a $975 destination charge). 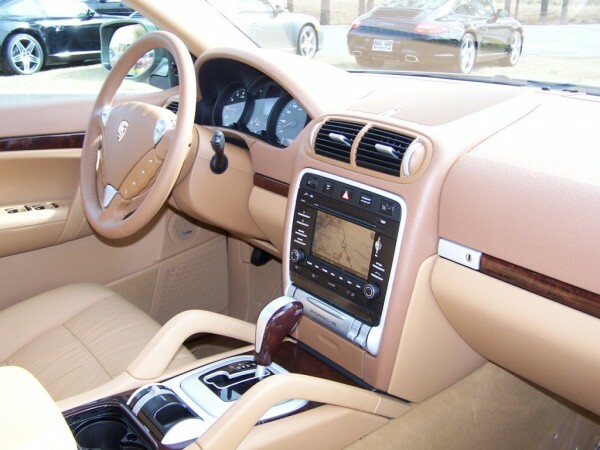 We purchased our gently used Cayenne from Porsche of Hilton Head with the remainder of the factory warranty (good through November 2012 or 50k miles) and Porsche CPO for $45,700. The second the Cayenne arrived, John started talking about a secondary cat bypass, opening up the intake, sport springs, larger wheels, etc., etc. After reminding him that this was in fact my truck, we agreed that our first set of mods would be along the lines of better equipping the Cayenne for our comfort and the dogs. With that said, I ordered the following equipment and expect for it to arrive sometime this week. In an attempt to keep the back of the Cayenne reasonably clean and the dogs comfortable I searched long and hard for some type of canine specific cargo liner. My original research sent me to Orvis for their custom fitted Canine Cover. Unfortunately, the price was a bit distracting at $449 + freight. With a little help from Google, I was able to find the exact same product (same manufacturer, etc.) from AutoAnything for only $322.99 less a 10% discount and free shipping. I was quite happy. With the extra savings I purchased the WeatherTech cargo mat below. That's it for now. Everything I ordered should be arriving in the next week or so. As soon as it comes in I'll start installing it and take a few pictures along the way to show you how things turn out. Next on the list is to research, purchase and install some type of invisible front shield system like the the 3M Invisbra to protect the front bumpers, lights and side view mirrors on our long road trips between Maine and Florida. I'm sure once all that's done John will start pushing for his performance upgrades. As I learned from watching him with the 993, once you start down the modification slope, it can get quite slippery, quite fast! What Kind of Cop Car Are You Not Getting Away From? Can’t wait to borrow the truck from Mrs. Porsche Purist. Enjoy !!! Congrats – Looking forward to seeing the pictures and the updates!